Designer Pierre Yves Rochon has used the finest materials to create this masterpiece – from murano glass chandeliers and silk wall coverings, to Italian linens and marble floors. The Savoy’s eight magnificent Personality Suites pay tribute to some of The Savoy’s most celebrated residents of the past, by featuring a superb selection of artefacts and images that evoke their personality. Frank Sinatra, Katharine Hepburn and Claude Monet are among the great and the good who have made The Savoy their London home. 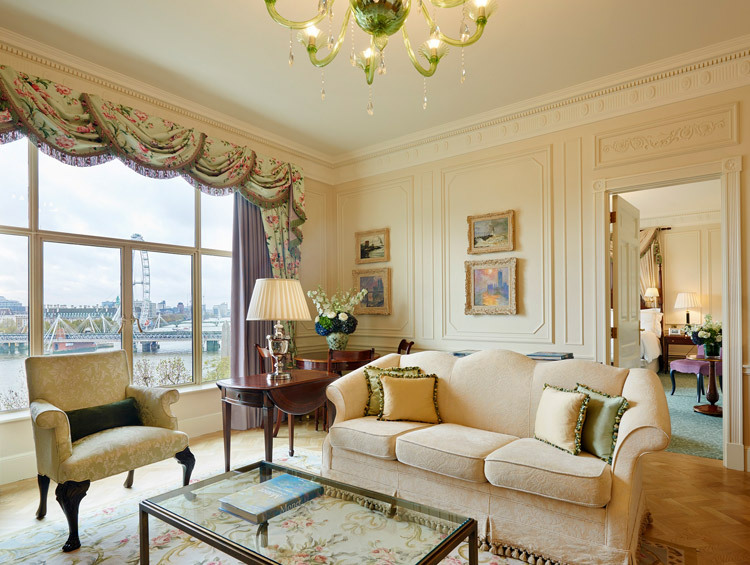 Meanwhile, Royal Suite is an impressive stately procession of rooms spread across the entire riverside area of the fifth floor – complete with extraordinary views over the River Thames. 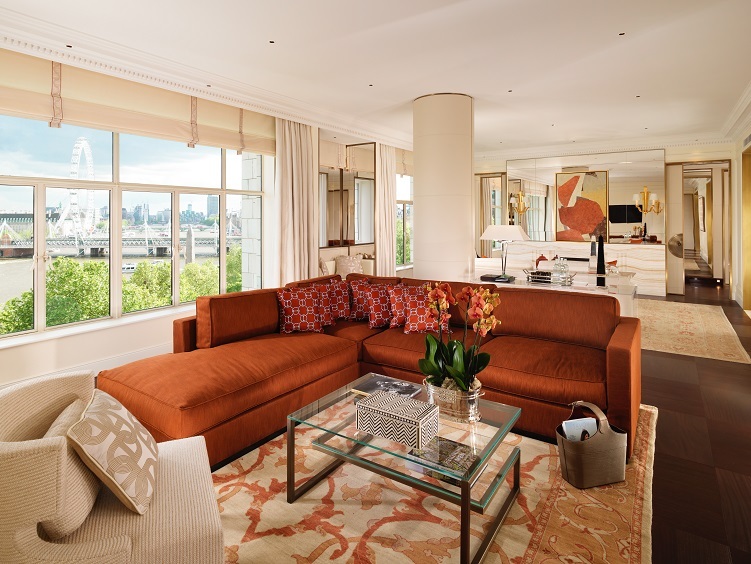 And then there’s the breathtaking Savoy Suite, An Artist’s Residence, which is a stunning two-bedroom suite on the sixth floor overlooking the River Thames. Elegant, comfortable and a true home from home, The Savoy’s guest rooms and suites are the absolute perfect place to stay in the heart of London. 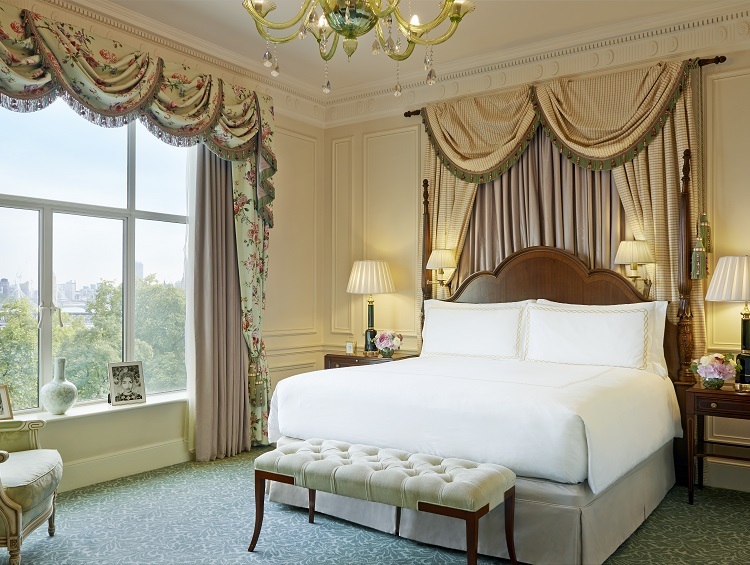 The Savoy boasts 267 luxury rooms and suites, all individually designed in either Edwardian or Art Deco style. Many also afford scenic views over the River Thames. No two rooms or suites are the same, and many feature beautiful original features, such as fireplaces, writing desks and wardrobes. 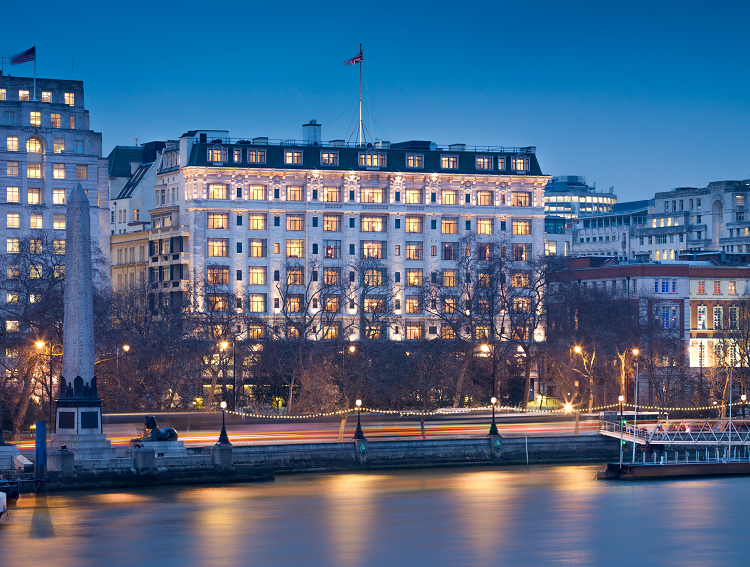 The Savoy is a stunning destination for food lovers and drink connoisseurs alike. 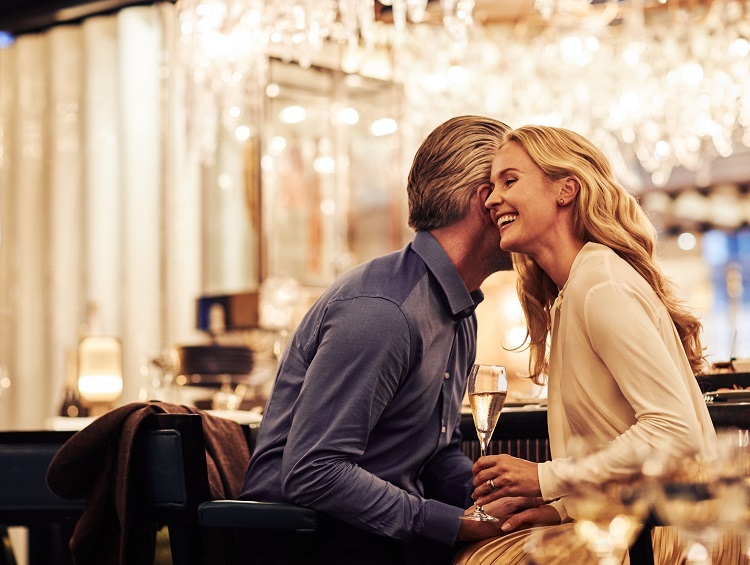 Housed within the hotel, you’ll discover a choice of seven restaurants and bars, with something to suit every taste. Kaspar’s at The Savoy presents an informal all-day dining experience in an elegant 1920s-style setting, complete with an oyster bar. A lively atmosphere makes this the perfect spot for breakfast, Sunday brunch, relaxed lunches, afternoon drinks and leisurely late night dining, while you look out over the River Thames. 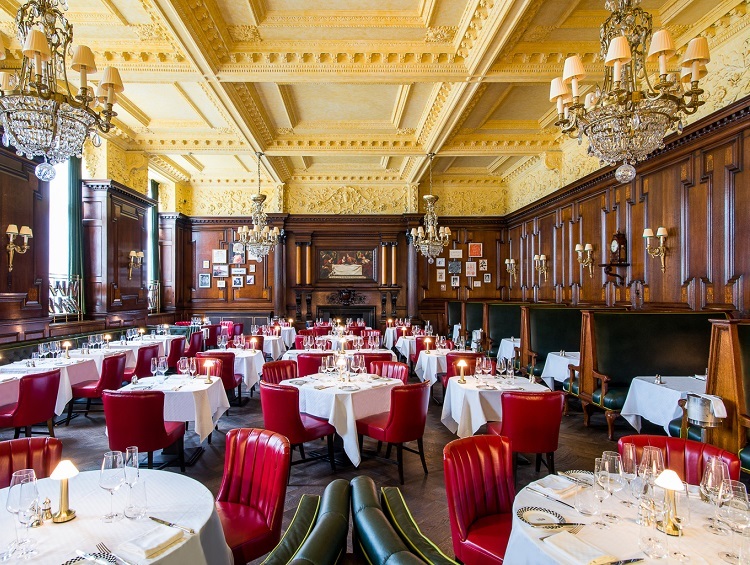 Gordon Ramsay’s Savoy Grill presents a classic British grill menu with a French touch, while Simpson’s-in-the-Strand and Knight’s Bar remain steadfastly at the top of every Londoner’s list for the best roast dinner in the city and a sense of fabulous British tradition. The most favoured of British traditions, afternoon tea, is most popular in the pretty Thames Foyer, with finger sandwiches and exquisite pastries, while Savoy Tea sells the hotel’s own teas and tea accessories. And as day becomes night, the award winning Beaufort Bar provides a theatrical setting for champagne and cocktails, while the American Bar, with its reputation as one of the world’s best bars, harks back to the golden age of cocktails in the 1920s. Other recreational facilities can be arranged offsite.